Great news for OnePlus X owners, as the Chinese company has just commenced the rollout of OxygenOS 3.1.2 update for this particular smartphone. We reported recently that OnePlus is working to bring Android Nougat to OnePlus 3 and Marshmallow to OnePlus X, but previous reports claimed latter will happen as early as next week. 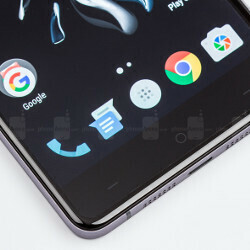 Surprisingly, OnePlus kicked off the rollout of the first official Marshmallow build for the OnePlus X. According to the Chinese company, OnePlus X owners with OxygenOS 2.2.3, 3.1.0 and 3.1.1 can update directly to 3.1.2 without having to flash back to a previous version. In case you're wondering what new features and improvements you'll get, here are some of the changes OnePlus has already confirmed. First of all, OnePlus X will get some nice launcher upgrades, which includes new icon packs, Google search bar UI customization, as well as a new design of wallpaper picker. Some Shelf UX improvements have been implemented as well, so you will now be able to long press boards to rearrange or remove. When it comes to Settings, OnePlus added the new (native Android) app permissions system, along with the new Alert Slider settings with more customization options. Two new apps will be included as well, such as OnePlus Music Player and OnePlus Gallery. Security-wise, OnePlus added the October Android security patch. Aside from these new features, the Chinese company mentions the update should also bring some general system performance improvements and general bug fixes. Keep in mind that this OTA update will be pushed in stages, which means it's not available to all OnePlus X owners at the same time. Also, the update is not without faults, as OnePlus confirmed there's one known issue related to Facebook and Messenger apps. It appears that you will need to manually give storage permission to both these apps, otherwise they will simply crash while using the OnePlus X's camera. The three OnePlus X users here I'm sure will be ecstatic. I'm excited at the prospect that a cheap phone, by a rather small company, is working hard to support older devices, especially non flagship ones. Good for OnePlus!